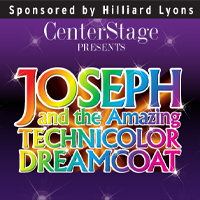 If you're looking for a fun night out this weekend, consider attending one of the five remaining performances of Joseph and the Amazing Technicolor Dreamcoat performed by CenterStage at the Jewish Community Center. The popular musical first premiered in London's West End in the 1970s and then on Broadway in 1982 with music by Andrew Lloyd Webber and lyrics by Tim Rice (well known to many for his contributions to Disney's Aladdin, Beauty and the Beast, and Lion King). The show follows the Old Testament story of Joseph from the Book of Genesis and is presented by a narrator along with a large cast of adults and children. Songs cover a variety of musical styles including western, rock, calypso, french ballad, and disco. CenterStage presents seven shows a year and is directed by John R. Leffert. Shows offer an enjoyable night out and showcase the talents of local actors and musicians. Support our local community theatre and take in a show this weekend! Tickets are available at the Jewish Community Center located at 3600 Dutchman's Lane, Louisville, KY or via phone at 502-459-0660. Contact us for additional things to do in Louisville Ky or to learn about the Louisville Real Estate market. Keep Louisville weird. How can you do this? You can start by visiting Hammerheads for dinner. Located on Swan Street, this locally owned little restaurant has good portions and satisfying prices. My husband and I were invited to try it out by one of their chefs, Griffin Paulin, so we stopped by on Valentine’s Day and were delighted with the cozy corner booth we sat in. You could smell the food when walking in thanks to the double barreled smoker outside. We arrived around 5:30p and beat the crazy rush that happened only 30 minutes later. Our waitress was very friendly and made great recommendations. I’m generally a picky eater but I loved each item of food that we ordered. We started off with the beer cheese appetizer. This was my favorite item of the night. I almost ordered a second helping- but I’m glad I saved room for the delicious entrées. 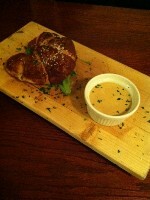 The soft, warm croissant was light and fluffy and the cheese had a touch of tang to it that I really enjoyed. Pick up a napkin, I can see you drooling- and for good reason. I never had BBQ Lamb Ribs before and after a recommendation by the chef to get the full rack, I quickly devoured these ribs. There was plenty of juicy meat on each bone which is a big plus. My husband ordered the Roasted Duck and naturally, I had to eat some of his food as well. This was my first duck experience, and I was not disappointed. In fact, I’ll probably order this the next time I go so I can enjoy the whole sandwich (one bite was not enough). We split a basket of Truffle Fries at the recommendation of the waitress. Even though my fries were smothered in ketchup, I could still taste their crispy flavor. This was a really good choice. This sign caught my eye on the way out. Keep up the good work Hammerheads. I’m not surprised by your win! Louisville has a wonderful selection of local restaurants and businesses. Contact At Home In Louisville Real Estate Group for more fun things to do in Louisville, KY or information about Louisville Real Estate. 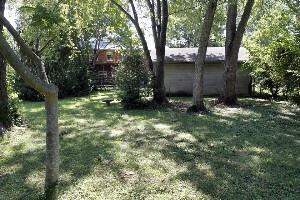 1301 Dawkin Rd La Grange, KY 40031 is a comfortable two bedroom home on slightly more than an acre of quiet land in La Grange. The Eat-In Kitchen is large with plenty of cabinet space and flows into the Formal Dining Room. The Great Room is spacious with a warm fireplace. Both bedrooms are good sized and convenient to a renovated Full Bath. New drywall and insulation was added to the home recently along with a new metal roof in 2012. The home features both a front and back porch (both wonderful spaces to enjoy the private views). 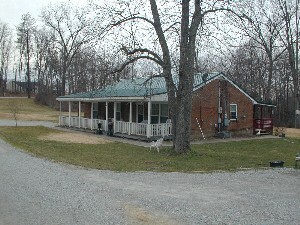 1301 Dawkin Rd La Grange, KY 40031 also includes a covered car port. 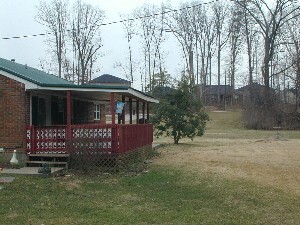 There is a heated outbuilding on the property with a deck that looks out over a small fish pond. To learn more about this home, or homes in La Grange, KY please contact our team of Louisville Ky Realtors. 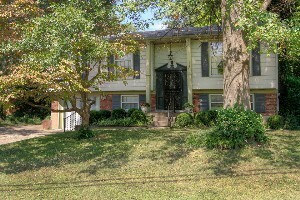 1525 Anderson St Louisville, KY 40210 is a great investment opportunity offering a total of nine townhome units. The first building includes six two bedroom townhomes and the second building includes 3 one bedroom units. Several long term tenants currently reside at the property. 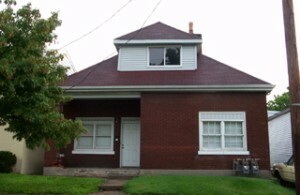 1525 Anderson St Louisville, KY 40210 is an income producing property with a gross yearly rental income over 42,000. Please contact a member of At Home In Louisville Real Estate group for further information about this property as well as detailed expense and income reports for the last several years. We would also be happy to discuss other Louisville Investment Properties with you. 1137 Oneida Ave Louisville KY 40214 is a lovely four bedroom bi-level home on a shaded lot in Iroquois Hills. 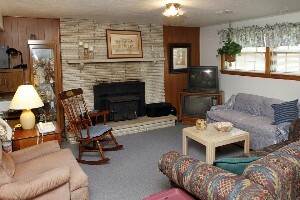 The home is walking distance from Iroquois Park and offers fantastic living space. Hardwood runs throughout the house under the existing carpeting! The front entry leads to a nice Living Room. The Living Room opens to a good sized Dining area which connects to the kitchen. The Kitchen contains plentiful cabinetry and natural light. The Master Bedroom features two windows and a large closet. There are two other secondary bedrooms on the first floor (one currently used as a sitting room) as well as a Full Bath. The finished Walk-Out Basement includes another Full Bath, a Family Room and Recreation Room with a fireplace, a Den, Laundry Room, and another Bedroom! 1137 Oneida Ave Louisville KY 40214 has a relaxing back yard complete with a couple of mature trees, a Deck enclosed by lattice work, and a Two car detached garage! Lots of space, a lovely lot within walking distance of the park, hardwood under existing carpeting, basement, and two car garage! What a find! To set up a showing to see this home or to learn more about Louisville Real Estate, please contact a member of At Home In Louisville Real Estate Group today! is a terrific brick ranch on a huge peaceful lot in La Grange. The home offers three bedrooms, lots of space, and the picture perfect country setting! Enter into the Living Room and Formal Dining Room featuring neutral decor. The Family Room showcases an inviting floor to ceiling brick fireplace and opens to the pleasant Eat-In Kitchen. 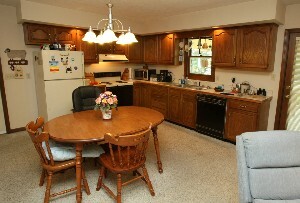 The Kitchen has a good sized dining area and plentiful cabinetry. The Master Bedroom is large, can accomodate a nice sized bedroom set, and connects to a private Master Bath. The two secondary bedrooms are positioned close to another Full Bath as well as a walk-in Laundry Room. 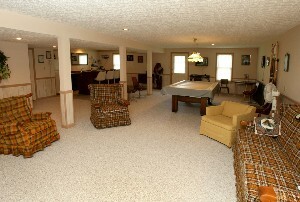 The Basement has been partially finished with a wonderful Family Room complete with wet bar and an additional Full Bath! The Covered Back Deck provides a great spot to enjoy a cook out and take in the view. There is a two car attached garage and an outbuilding with electricity, water, and an extra garage bay. The handyman in your family will adore this! 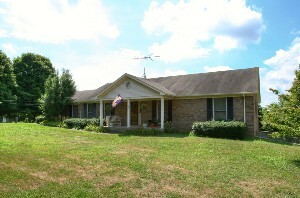 1616 Overstreet Ln La Grange KY 40031 sits on approximately 10 1/2 acres and feels incredibly private! The home has been lovingly maintained by one owner. See the link 1616 Overstreet Ln La Grange KY 40031 to view additional property information as well as two price points for the house on 10.5 or 2 acres. We also invite you to contact a member of our team to learn more about Louisville Real Estate and homes in La Grange, KY.
Come and view this terrific home in Bay Tree this Sunday February 17th from 2-4 pm!. 12505 Bridgetown Pl, Louisville, KY 40245 is a 4 bedroom, 2 and 1/2 bath on a peaceful culdesac with a fenced in back yard and attached two car garage! Contact a member of At Home In Louisville Real Estate Group to learn more about Louisville Real Estate or to schedule a showing. Today the At Home In Louisville Real Estate Group joined many Keller Williams and other area Realtors with the Greater Louisville Association of Realtors to raise money for a couple of wonderful charities! The Fuller Center For Housing - The Fuller Center is a phenomenal charity that helps support communities by building and repairing homes. The Fuller Center is a non profit organization whose mission is to eliminate poverty housing. The Fuller Center works to bring community members and homeowners together to build or repair homes for families in need. Families are chosen based on need and willingness to participate in the process. At Home In Louisville had a great time participating in the Bowl-A-Thon today. It was a fun morning filled with laughs and the company of friends. 4013 Hillbrook Dr Louisville KY 40220 will be OPEN on Sunday Feb 10th 2013 from 2-4pm. Wonderful 3 Bedroom ranch in a fantastic location! The fully heated Florida Room is the perfect reading spot on these winter mornings! Keep checking back for the latest Open Houses in Louisville KY. 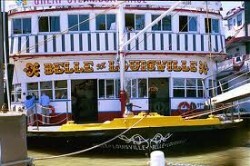 If you're visiting the Louisville area or looking for a fun outing, you might enjoy a cruise on the Belle of Louisville. The Belle of Louisville holds the title of the oldest river-style steamboat in the world and still operates year round providing sight seeing and entertainment to city residents and tourists alike. The Belle of Louisville will turn 100 years old in 2014 and the city will hold a birthday celebration. The steamboat was built in Pennsylvania in 1914 and originally named the Idlewild. The boat was named a historic landmark in 1989. The Belle of Louisville is the property of Louisville Metro Government and offers lunch or dinner sightseeing cruises, historic river tours, comedy cruises, and special holiday events. You can also book the Belle for private events and it makes a unique venue for proms, reunions, weddings, and corporate events. While on board the Belle you'll enjoy listening to entertainment, learning historic facts, and viewing the scenic river from the decks. Concessions are also available on board. Tickets to cruise on the Belle generally run between 20 and 40 dollars depending on which cruise you prefer and whether or not you choose to enjoy a meal while aboard. Tickets to the Belle of Louisville can be purchased on the Belle's website, via phone, or at the ticket office located at 401 West River Road in Downtown Louisville. There are loads of things to do in the Louisville area! Feel free to browse for more Louisville attractions or contact a member of At Home In Louisville Real Estate Group to learn about homes in Louisville. It’s finally here. The old train bridge that has been transformed into a pedestrian friendly walkway opened this morning, February 7th 2013. Mayor Greg Fisher had an official opening ceremony at the base of the spiral walkway. The Big Four Bridge has been a work in progress for some time. If you have traveled down River Rd recently into Downtown, you might have caught a glimpse of construction workers putting together the new spiral walkway that leads to the refurbished Big Four Bridge. The bridge has been re-decked, and lighting and handrails have been installed. 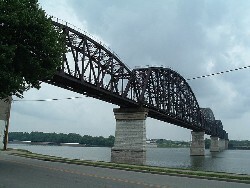 Kentucky and Indiana officials announced in 2011 that a total of $22 million was to be spent on the project. Indiana has not yet finished their side of the ramp, but Kentuckians are now welcome to visit and walk this historic bridge (the bridge originally opened in 1895!). The bridge is also bicycle friendly and will have a painted line down the center of the bridge for bicyclists. This isn’t surprising considering Louisville has been recognized many times for being a top bicycle friendly city in America. A full walk from one side of the bridge to the other, including the ramp, and back (the Indiana ramp is not yet finished so you'll have to make the journey back) will be a good 2 mile walk. So if you are looking for a fun and healthy way to get in shape and see some sights this spring, make sure to stop by the Big Four Bridge. For more exciting events in Louisville continue to check out our blog or contact one of the amazing Louisville Realtors on our team. Looking for a wonderful unique gift this Valentines Day? Why not send a Singing Valentine to your sweetheart? Pride of Kentucky Chorus has been delivering singing valentines for over 25 years and our team owner Kathryn Sotelo is a proud member and participant! 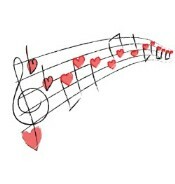 Singing Valentines are $40 for a personal visit or $10 for a song delivered via phone. A costumed quartet will appear at your location of choice on February 13th or 14th and make this Valentines Day one your loved one will never forget! To place your order or to view song choices and additional features visit the Pride of Kentucky Chorus website or call 502-368-SONG. Explore the At Home In Louisville blog and community pages to learn more about Louisville activities and homes in Louisville. It’s not always easy to get away for a romantic weekend or create that perfect date night on Valentine’s Day, especially with a hectic schedule and a family at home. So, I spent some time on Pinterest and found a few fun simple ways to get into the Valentine's Day spirit at home. Don’t forget to check out our At Home In Louisville Real Estate Group Pinterest boards http://pinterest.com/AtHomeInLou/ for some more great holiday tips and crafts! Valentines Day decorative frame: What could be a quicker way to spruce up the home than printing a little Valentine photo (personal or predesigned ) and popping it into a picture frame? Chic frames can be purchased online or in local stores (Target is great!). If you can’t find one in white, you can always grab a can of spray paint and make your own! Valentines drinking straws: This is a fun way to add a little love to your drinks. Cut out some paper hearts and decorate them. You can add sweet sayings or decorate with markers. Then cut two small straight lines throught the center and slide in your drinking straw. Quick and cute! See the pins in the DIY & Crafts board on At Home In Louisville's pinterest page and link through for step by step instructions. 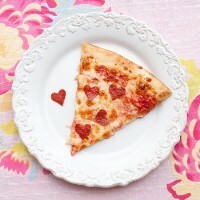 Valentines Pizzas: No need to bake endless amount of red and pink cupcakes for this holiday. Grab a pair of cooking scissors and cut little pieces of pepperoni into hearts. Cook them on your pizza and enjoy! Valentines Day Drinks: Nothing could be more simple than adding food coloring or strawberry powder mix to your milk to get a perfectly pink drink. You can even decorate your glass if you like. There are also tons of delicious drink options online like this recipe for Cupid's Floats: Cherry 7 up, a scoop of vanilla ice cream, topped with a maraschino cherry. Edible Valentines Centerpiece: Cute, easy, and yummy! This décor is double handy- It gives your house the feel of Valentine’s Day until February 14th, and when you are done with the decoration you don’t have to throw it out, you get to eat it. Win win. We hope you enjoy your Valentines Day in Louisville Ky this year! We invite you to visit our website for more things to do in Louisville and to view Louisville Real Estate. The Louisville Mega Cavern is an up and coming entertainment option in the Louisville area. The cavern is a man made 100 acre cavern that was formerly a limestone quarry. The quarry began operation in the 1930s and limestone was mined in the facility for 42 years. In 1989, private owners purchased the cavern and began using it to store recycled rock and other materials. The cavern remains 56 degrees year round and would reportedly provide protection from weather events or elements of war. At one time, state officials considered using the cavern as a bomb shelter. 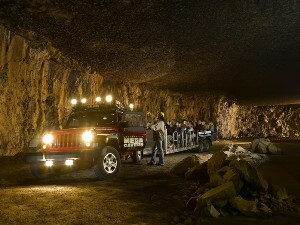 The cavern is now a year round Louisville attraction offering SUV tours, underground Zip Line adventures as of 2011, and a Christmas light display "Lights Under Louisville". The Louisville Mega Cavern is located at 1841 Taylor Ave, Louisville, KY 40213. Zip line tickets currently range from 49 to 79 dollars and tram tours are $8 for children and $13.50 for adults. Contact At Home In Louisville Real Estate Group to learn more about things to do in Louisville, KY and Louisville Real Estate. The Louisville Zoo recently welcomed a baby zebra! This new bundle of joy arrived on January 18th, 2013 and was the first baby zebra born at the Louisville Zoo in 13 years! The baby foal is a female Hartmann mountain zebra and will be available for public viewing soon! What a great outing for the winter and spring months ahead! The Louisville Zoo provides wonderful educational opportunities to families in our area. If you'd like to learn more about animal species on exhibit at the Zoo, you can view interesting fact sheets on the zoo's website. Adult Hartmann Mountain Zebras weigh approximately six hundred pounds and wild zebras enjoy a diet of tall grasses. Did you know that no two zebras have the same pattern of stripes? WHAS11 news has several photos up of the zoo baby- what a cutie! Click the link to read the story and view photos of this new girl- Baby Zebra At The Louisville Zoo. To learn more about local attractions like The Louisville Zoo, contact a member of At Home In Louisville Real Estate Group today! How does the lender determine the maximum loan amount I can afford? How does the lender determine the maximum loan amount an individual can afford? According to Jason Justice with First Commonwealth Mortgage, the lender looks at several things to determine what you can afford. The three major factors a lender will consider are credit score, gross income, and loan program. 1) Credit score: Your credit score will determine the maximum debt ratio the lender will approve. Debt ratio is the percentage of a consumer's monthly gross income that goes toward paying debts. Therefore, a high or low credit score can increase or decrease the available loan amount. 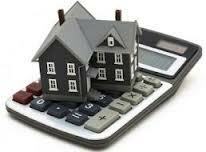 2) Total gross income for all applicants on the loan: Gross base income is used to determine your household income. If you have two years history of receiving commission, bonuses, or overtime, then that income can also be included and will help to qualify you for a higher loan amount. Once the gross income is determined, the lender calculates a max ratio that will allow you to pay your new house payment as well as your current debts. 3) The particular loan program you are applying for: The type of the loan program you are applying for may define how much a lender can offer you. Loan program guidelines play a large role in determining your loan amount. If you have other questions about home loans in Louisville, KY- Jason Justice, with First Commonwealth Mortgage would be glad to discuss them with you. To learn more about Louisville Real Estate and homes loans in Louisville, Ky please explore our website or contact a member of At Home In Louisville Real Estate Group today. If you're looking for a rainy/snowy day activity, you might enjoy a trip to the Louisville science center (Kentucky Science Center) in downtown Louisville located at 727 West Main Street, Louisville, KY 40202. The science center is open daily throughout the year but closed on Thanksgiving, Christmas Eve, Christmas Day, and Derby Day (Derby Day is treated as a holiday for many in Louisville!!). The science center opens at 9:30am and closes at 5pm most days (9pm on Fridays and Saturdays). The science center has a few standard exhibits as well as temporary exhibits. Kids will enjoy the gift shop and hands on activities. The Louisville science center also houses an IMAX movie with several rotating films. Tickets to both the science center and an IMAX film are currently $18 for adults and $16 for children 12 and under. You can also purchase a ticket to the science center alone or an IMAX film alone for a lower purchase price. If you'd like something to do on a Friday or Saturday night, tickets to the IMAX are only $5 after 5pm. You can even buy a dual membership to the Kentucky Science Center and The Louisville Zoo. The Science Center has several events during the year including a Thunder Over Louisville celebration, overnight adventures for school groups, after school programs, and programs for boy and girl scouts. The top floor of the science center houses a Riverview Room which is a rental venue for corporate parties and weddings. If you'd like to learn more about things to do in Louisville, the Louisville area, or homes in Louisville, At Home In Louisville Real Estate Group would be glad to show you around. Open house this Sunday February 3rd from 2-4pm at 2319 Winston Ave, Louisville, KY 40205! You will fall in love with this wonderful brick ranch in Strathmoor Village! Wonderful updates to the kitchen and bathroom and lovely hardwood flooring! Contact At Home In Louisville Real Estate Group with questions about the home or Open Houses in Louisville KY.
Open house at 4013 Hillbrook Dr Louisville KY 40220 this Sunday February 3rd from 2-4pm! Fabulous location and incredible updates!! Lovely ranch with 3 bedrooms and 2 baths! Don't miss it! Call 502-371-1173 to learn more about this home or Open Houses in Louisville KY.